Rodney’s financial compliance experience includes anti-money laundering (AML), counter terrorist financing (CTF), Fraud and Legislative Compliance Management (LCM). He has worked in-house with money services businesses (MSBs), residential mortgage companies, corporate trusts, transfer services (stock certificate issuance) and financial institutions, and is excited to be consulting with those industries and more. He became a Certified Anti-Money Laundering Specialist (CAMS) in early 2011 and is also a graduate of the Canadian Institute Financial Crime Analysis course at Seneca College. 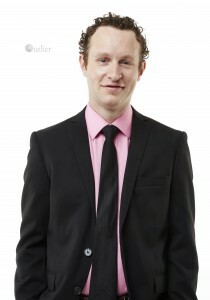 When he first moved to Toronto, Rodney was working in business development with a large MSB. Within his first few days, Rodney was obligated to attend an AML and CTF compliance training session with the company’s Chief Compliance Officer (CCO). Once Rodney had completed the training, the CCO asked him if he would like to hear something ‘cool’? The CCO told him that he had just gotten off the phone with the Deputy Director of the US Federal Bureau of Investigations (FBI). Although minimal detail provided about the purpose of the call was disclosed, his interest was piqued. Rodney was hooked, and jumped at the chance to move to a position in compliance.